Leah Harding is an Emmy nominated journalist and senior producer at Al Jazeera English in Doha, Qatar. Leah covers international politics ranging from protests in Cameroon to the ongoing Gulf diplomatic crisis. Formerly, Leah was a presenter on Al Jazeera’s first interactive newshour #AJNewsGrid. Leah speaks Arabic and is devoted to humanizing even the most complicated of stories. She has covered the world water crisis from Ethiopia and reported from Haiti in the aftermath of the 2010 earthquake. In the United States, Leah covered state, county, and city projects promising nearly 2,000 homeless people in north Florida food, shelter, and healthcare services. Leah's coverage of local and international news stories has earned her several prestigious honors. She and her team on #AJNewsGrid were nominated for an international news Emmy for their coverage of the ongoing blockade of Qatar. She is also the recipient of two regional Edward R. Murrow awards, three Florida Associated Press Broadcasters awards, two national Hearst Journalism awards, two Society of Professional Journalism awards, and a National Broadcasting Society award. Prior to joining Al Jazeera English in 2015, Leah freelanced for CBS and NBC. In 2011, Leah joined WUFT-TV News, a PBS affiliate in North Florida. Leah is from Orlando, Florida but is based in Doha, Qatar. She has visited more than 50 countries and has lived in Jordan, Ethiopia, Kenya, and New Zealand. She graduated from the University of Florida with a Bachelor of Science degree in Telecommunication-News and a minor in Arabic Language and Literature. Leah helps lead youth group at her local church, is an advanced scuba diver, and enjoys training for triathlons and ultramarathons around the world. An episode of NewsGrid, hosted by Kamahl Santamaria and Leah Harding, was nominated in the News category for the 2018 International Emmy Awards. The broadcast focused on the two month anniversary of the Qatar-Gulf crisis with in-depth analysis and reporting on the blockade of Qatar and the demands to shut down the Al Jazeera Media Network. 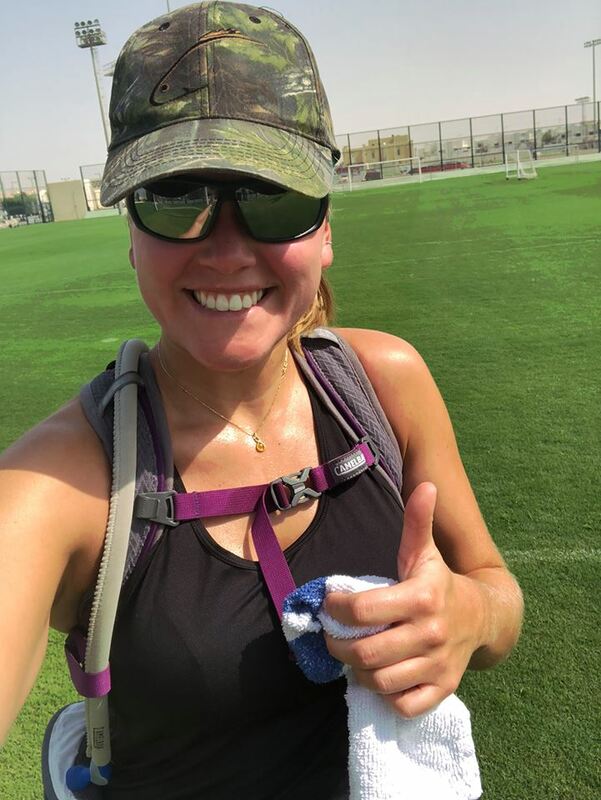 On January 25, 2019 Leah and a group of expat women became the first all-female team to cross Qatar on foot in one day. Leah and her team each ran 90km (56 miles). They ran for a charity Free to Run who encourage women and girls in conflict zones to pursue adventure sports as a way to enable sustainable development and peace. Because who runs the world? Girls. Leah is switching things up a bit and trying her hand at Sport presenting on Al Jazeera. You can watch Leah during broadcasts of the Newshour. Contact Leah for speaking engagements, story ideas, and media requests. Or send Leah snail mail, just for fun!